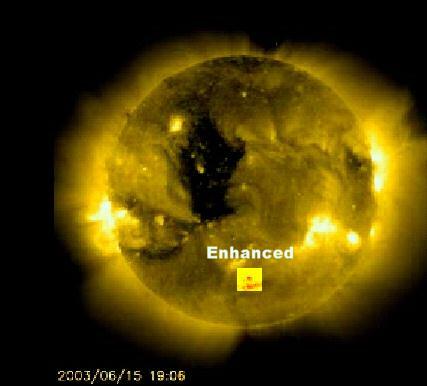 SOHO C2 satellite image May 24th 2003 - incoming hit towards sun. 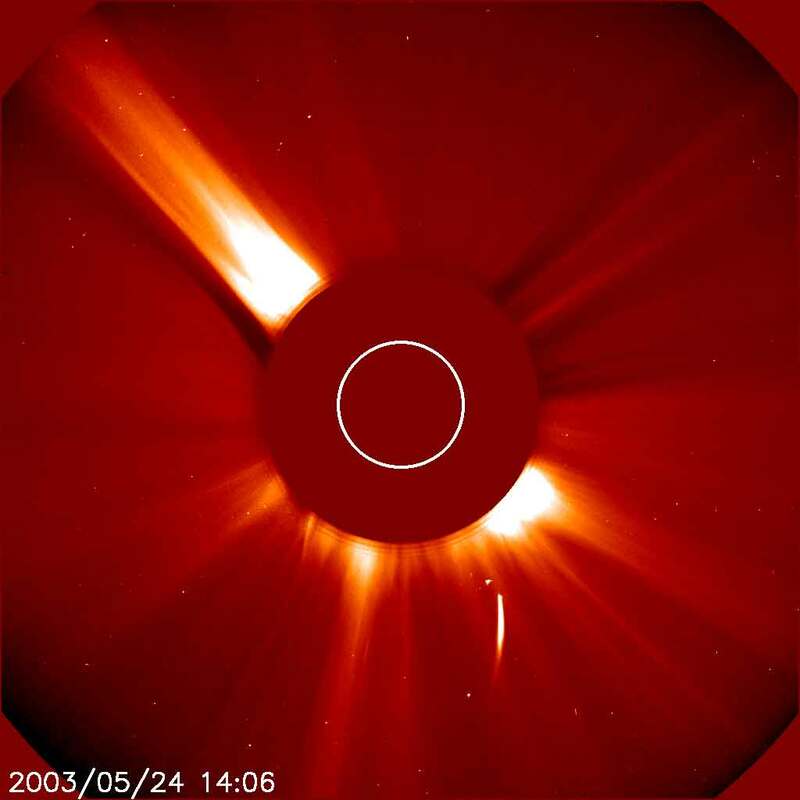 Series of images captured on May 30th 2003 via the navy C3 lASCO solar satellite. Also see OTIS weather cam animation - sunset image - Stephenville Texas.